Our range of products include basil oil. We are the leading manufactures and supplier of Basil Oil. 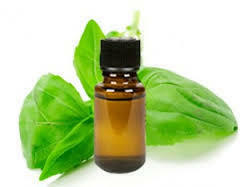 Basil oil mainly used in spice and flavour industry, in the perfumery, in the aromatherapy.it contains no additives and no other technical adjuncts. Raw material: ocimum basilcum-leaves used. Color of extracts is yellow brown oily liquid with a typical strong aromatics basil smell. Looking for Basil Oil ?